Finally we had a little bit warmer summer day here in Finland too, so at last I can get to the summer mood, yay! Quite appropriately I have a really bright and summery manicure to share with you guys today. I bought total of four polishes from the huge KBShimmer summer collection and for this look I compined two of those new polishes to one manicure. I used two coats of the gorgeous faded neon coral peach called Bahama Drama. Then I did a simple glitter gradient on top of Bahama Drama using KBShimmer holographic silver glitter called Alloy Matey! 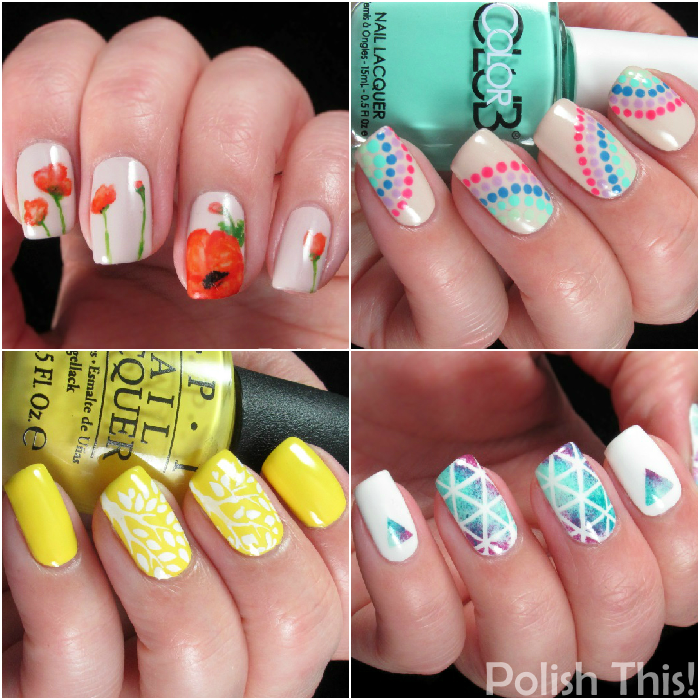 Just a little while ago I also bought some new water decals from Hypnotic Polish. These are from a Russian brand called MILV and these are pretty new at Hypnotic Polish. 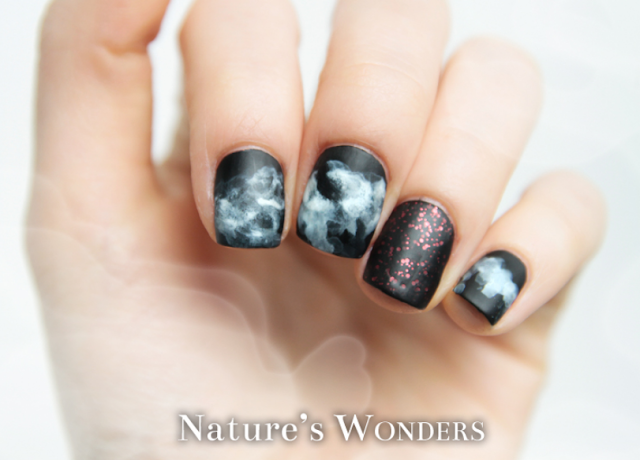 They have quite a wide selection and I think these are great as they are a bit different than regular water decals. I was especially interested in trying out those silver/gold designs as I've been struggling a bit with silver and gold water decals. I've bought quite a few different decals in silver or gold, but pretty much all of them seem to have some quality issues. Based on my first try these MILV ones didn't really disappoint, I think these are the best quality silver water decals that I've used. 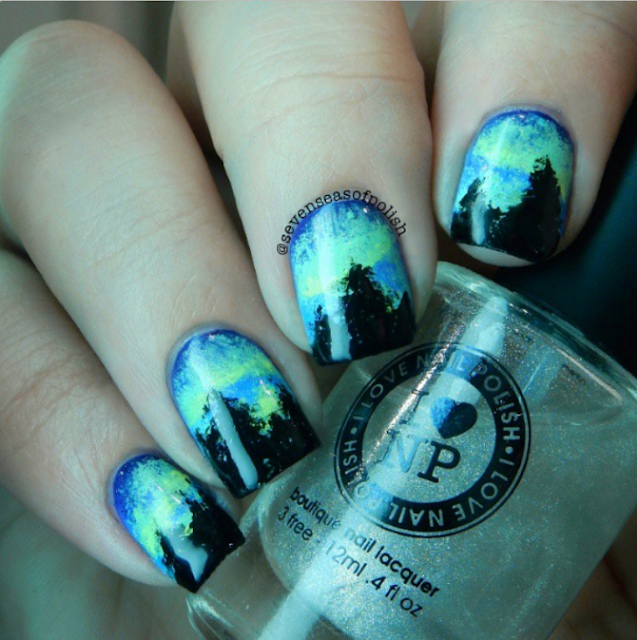 They are quite thin so you need to be careful when applying your top coat over them but other than that they were pretty perfect. Bahama Drama is seriously the most stunning summer shade there is, this is just pure perfection! I think it's the kind of neon shade that suits pretty much everyone. It's a bit bleached neon, so it doesn't look wrong with pale skin tone either, but it's still so very bright. The quality and formula were pretty great also, I only needed two easy coats for full coverage. If you haven't found your perfect coral summer neon yet, you should definitely check this one out! Polishes: KBShimmer Bahama Drama, KBShimmer Alloy Matey! How about you guys, are you in the summer mood already? 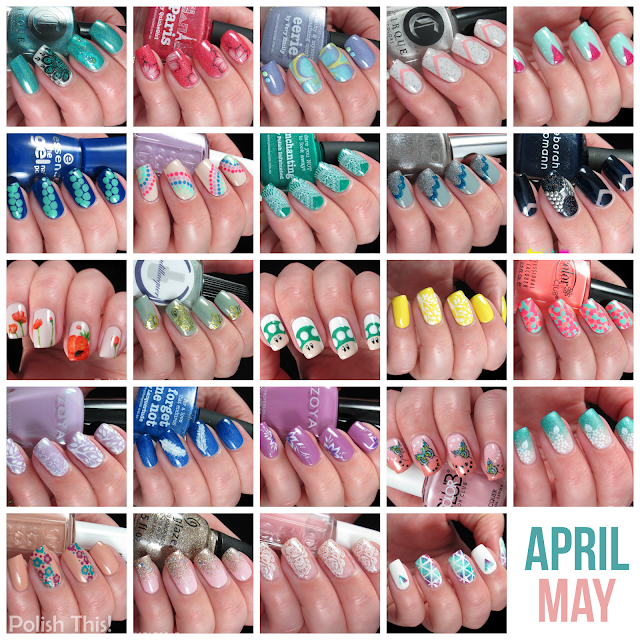 In the middle of last month I realized that I had forgotten to post the Monthly Manicure Roudup of April, so I decided to leave it and combine April and May roundup together. 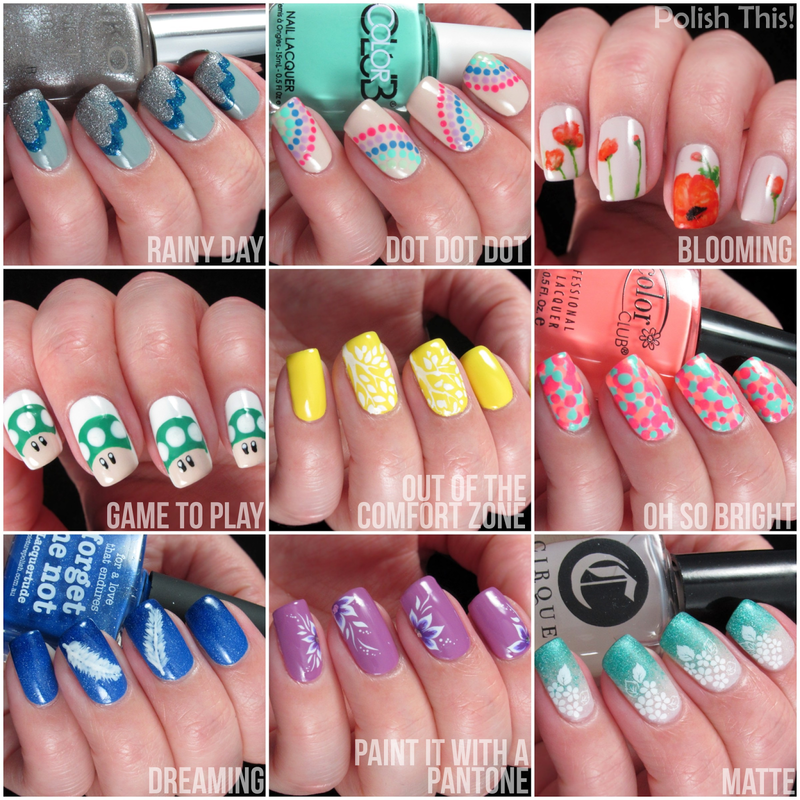 So now I have quite huge roundup post for you guys today! 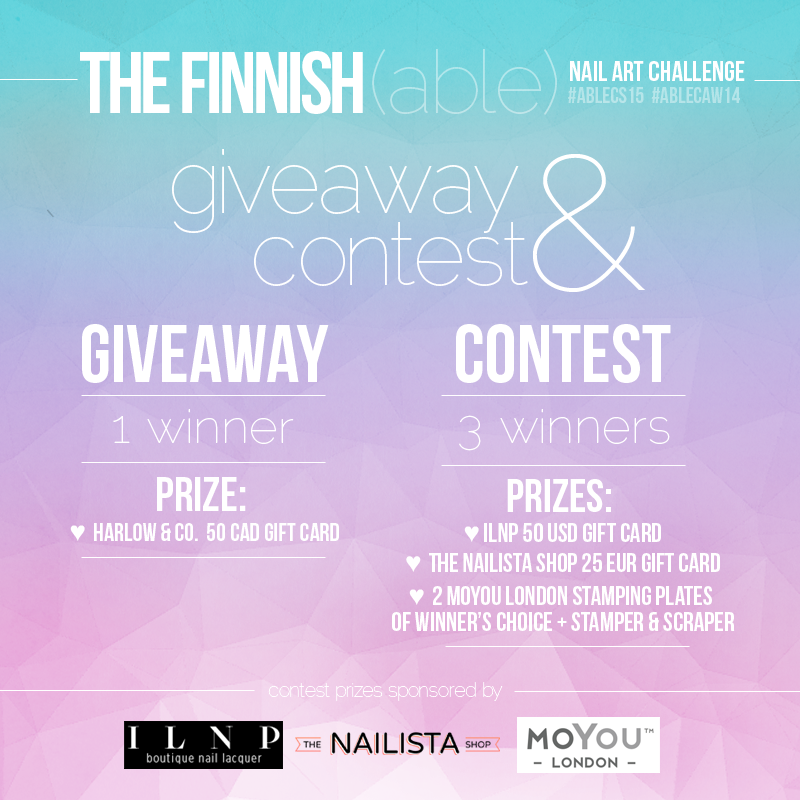 Eventhough I've felt like I haven't had enough time to do posts, still I have managed to squeeze in at least two nail art manicures per week, mainly because of our nail art challenge. The challenge really kept me going, hopefully I'll be still able to keep up at least similar pace even without the challenge. 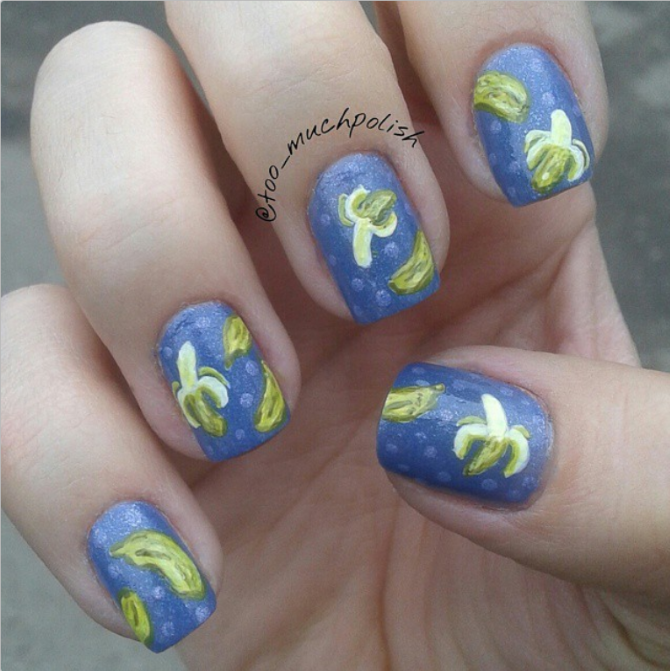 Two months and total of 24 nail art manicures, not too bad, huh?! Polishers Inc. What's On TV? Somehow it has felt to me like I never have time to do manicures or post them, but looking back it looks like I have still managed to make plenty! Like I said the challenge was pretty much the only thing that kept me going and in addition to it and occasional Polishers Inc. posts, I didn't really have time to do much more to the blog. I did do a random swatch spam post with Zoya, China Glaze, FUN Lacquer and Delush Polish. In addition I also managed to swatch couple awesome collections: Cirque Juicy collection and Essie Flowerista collection. It's been really interesting reading about some nail polish statistics from Playing With Polish's monthly roundup posts (for example here), so I wanted to borrow the idea and list some of my numbers in these roundup posts. 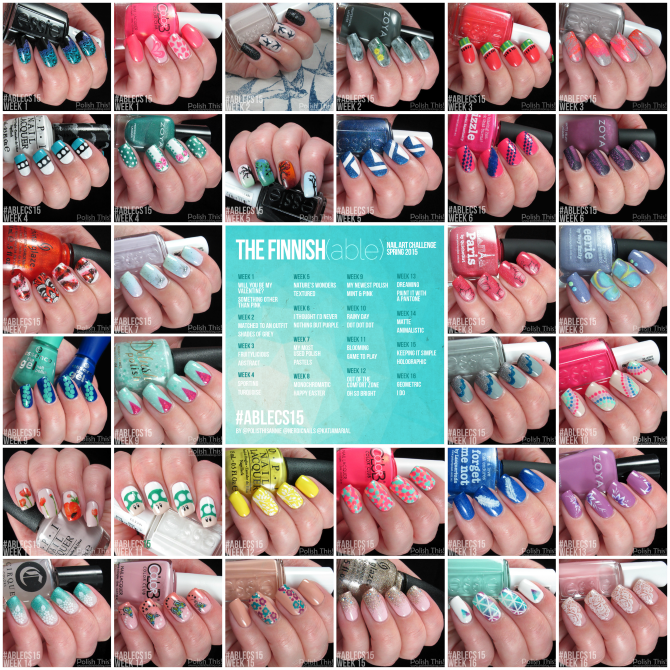 I counted that I have used total of 15 different polish brands in my nail art manicures during these past two months (I didn't count any of those swatch posts into these numbers). 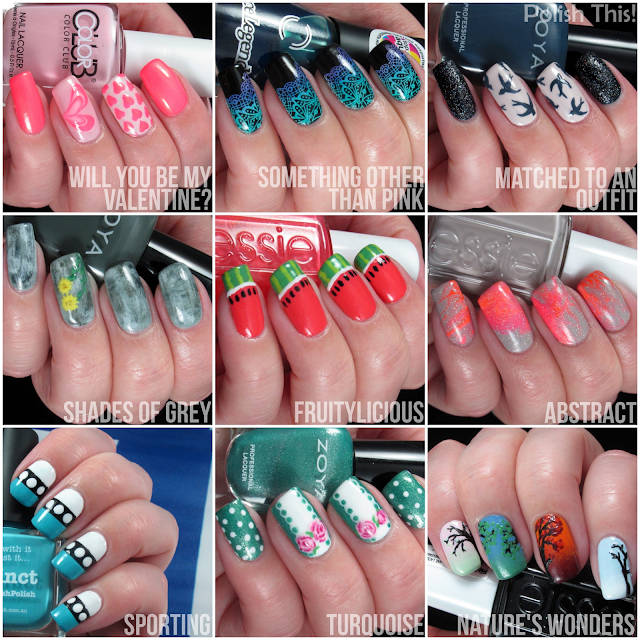 The most used brand was Essie with a total of 24 polishes used in different manicures. Part of the number comes from the fact that I use Essie Blanc and Licorice as my black and white, and I've been using those two quite a lot recently. 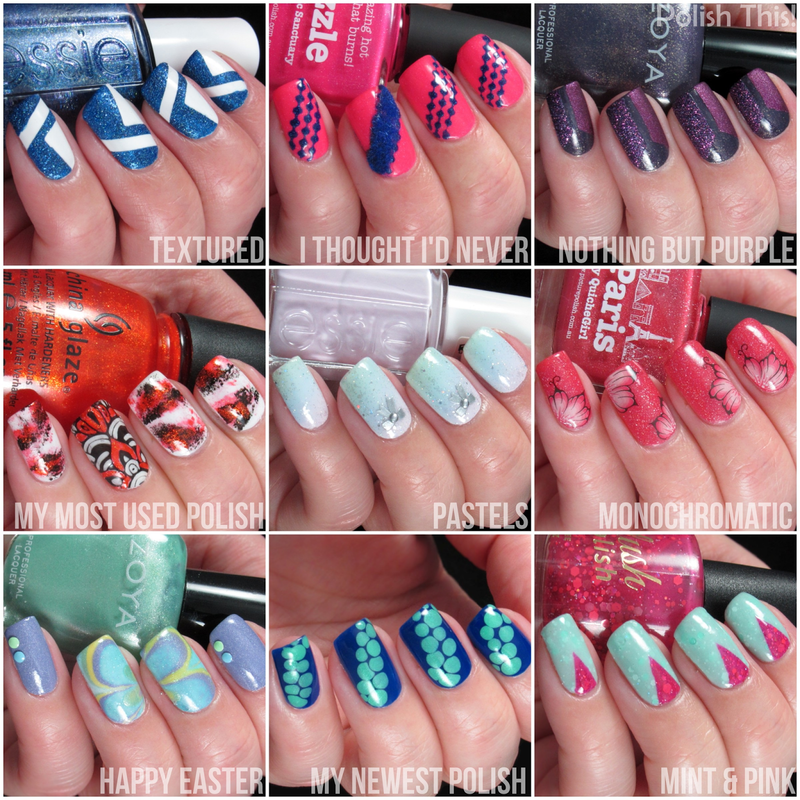 The second most used brand was a tie between Picture Polish and Color Club. Color Club was especially surprising, I don't own too many Color Club polishes, but then again the ones that I own are pretty great ones. I used total of 67 polishes for all my different nail art looks. I don't really have anything to compare this with since I haven't counted my numbers before, but that doesn't really seem much. The top three was quite clear as I equally loved the flowery manicure, the dotting tool manicure and the geometric manicure. The fourth one was quite hard to choose as I could have chosen quite a few different manis for that last spot here, but in the end I ended up going with that yellow stamped manicure as it was finally a (quite) succesful stamping manicure from me and also suprisingly I really loved the whole manicure on my eventhough I don't usually enjoy wearing yellow so much. 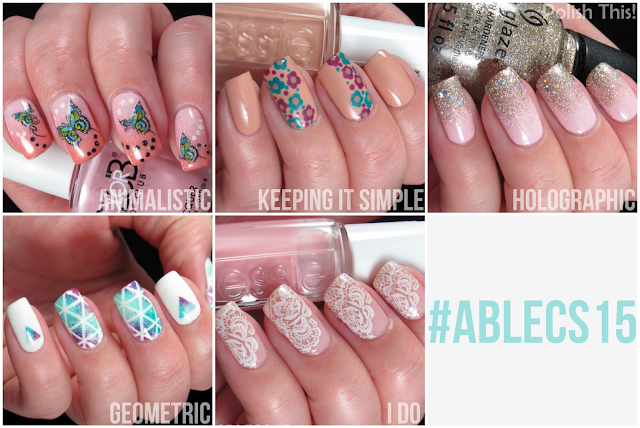 Which one of my manicures from the past two months is your favorite?